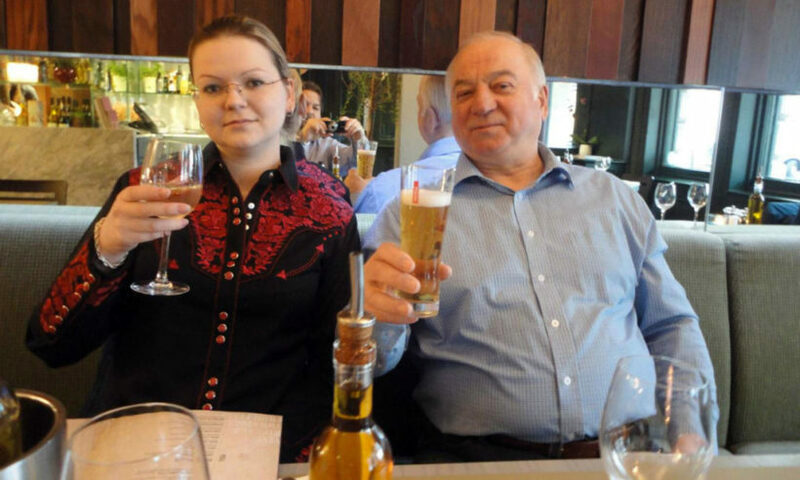 Former double-agent Sergei Skripal and his daughter Yulia were found unconscious on a park bench in Salisbury, England. The two had been poisoned with a nerve agent called Novichok, developed by Kremlin scientists several decades ago. They remain in critical condition. (BBC News) – The United States and its European allies are expelling dozens of Russian diplomats in a co-ordinated response to the poisoning of a former Russian spy in the UK. It is said to be the largest collective expulsion of Russian intelligence officers [spies] in history. British Foreign Secretary Boris Johnson also praised the “extraordinary international response” by the UK’s allies. …Whatever the denials, Britain’s allies have clearly accepted its view that the use of a military grade nerve agent in Salisbury was “highly likely” the work of the Russian state. [Some 48 diplomats at the Russian embassy in the U.S. have been asked to leave and 12 Russians who work at the United Nations. The Russian consulate in Seattle will also be closed. Senior U.S. administration officials said the Russians being expelled were intelligence officers who are being “cloaked” by their diplomatic status. From a March 26 report at BBC News. Reprinted here for educational purposes only. b) What is the significance of the expulsions? c) What has Russia’s reaction been? “Additional measures, including further expulsions within this common EU framework are not to be excluded in the coming days and weeks,” he said. The US state department said in a statement: “On March 4, Russia used a military-grade nerve agent to attempt to murder a British citizen and his daughter in Salisbury. It called the attack an “outrageous violation of the Chemical Weapons Convention and breach of international law”.